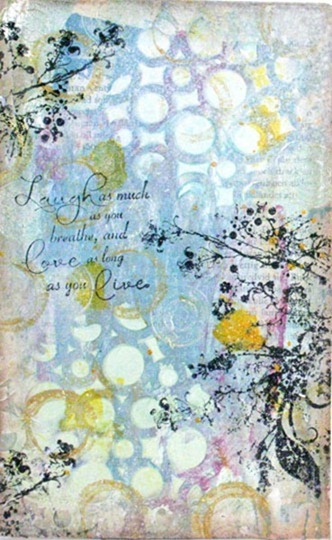 I’ve made this page for a mixed media challenge at SWE Scrapbook, there is a new one every other week. I almost never tried mixed media before, but I hade a page over from making the foundation to an album and felt like playing a bit. The reason I don’t do mm is that I don’t really like it not turning out like I want and all those inks and mediums tend to have some radom results when I use them. They don’t do like I want them to. Wich I guess is kind of the whole point of mm? Anyways, I made one page and was quite happy wit it in the end. I didn’t make it as a journaling page, more of a way for me to let go and have fun with colors. I hope you like it! If you like mm I would go over at SWE Scrapbook and look at all the inspiration, there are somme real talent to find there.